Everyone has those subjects they just love, and also those that, well, they don’t like so much. For me, the not-so-much subject has always been math. Fortunately, my youngest likes math a lot more than I do, but he finds it easier to learn it from someone who is not me. I am always on the lookout for programs I can use so he can learn at his own pace, and I was happy to check out a single student membership from CTCMath for this review. CTC offers a wide range of math programs, from elementary to the high school level. For this review, my son, who is a high school junior, tried out their Algebra 2 program. 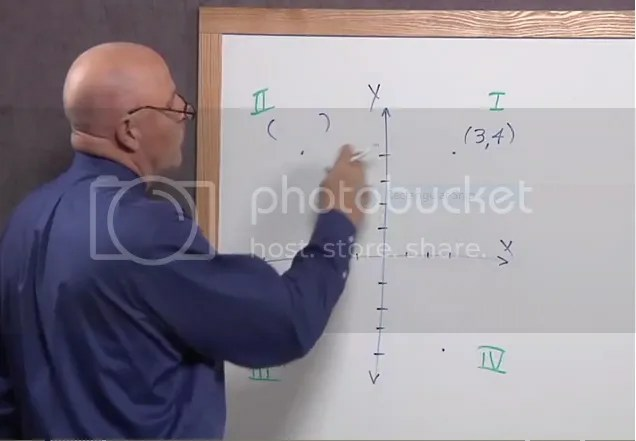 This class is divided into three sections, each one sub-divided into topics like solving linear equations, polynomials, rational expressions, and more. Lessons consist of a video of math problems being solved narrated by an instructor who explains each step. My son preferred this to a video that showed an actual teacher working on a board, because he said it made it easier to focus on the problems themselves. The narrator speaks very clearly and at a good pace, and my son enjoyed his accent! After watching the video, students can then complete a worksheet that gives them a chance to practice what they learned. They can do the work on paper or you can print out a copy of the sheet for them to work on. Students type their answers into CTC and it tells them how many they got right. Students can make multiple attempts on the worksheets and even go back to watch the video again if they want. Afterwards, students can then view complete worked out solutions for the problems if they can’t figure something out. I can’t tell you how much I love this feature! Having the problems worked out step by step really helped us identify where my son made a mistake. Often, you will get an answer key with the simple answer, but that doesn’t help much once you get into upper level math, so this is a part that I really appreciate. The results tab lists the scores for each lessons, the numbers of attempts made at each lesson, and the date the lesson was passed. This makes it very easy to track your child’s progress. For parents, CTC allows you to log in and set tasks for your child to complete. These tasks will appear under the “tasks” tabs on your child’s page. You can set a date for completion and you get notifications if tasks are not done on time. In addition, you get weekly emails with reports on your child’s activity for the week. These are really helpful if you’re in a busy season and can’t be on top of your child every day because you can easily see if your child is on track. Additional features I really like about CTCMath include their speed drills, where kids can practice math facts, and their diagnostic tests. You can assign these and use them to determine what things your child really needs to focus on. On the whole, I think CTC is a very solid math program and a great help for parents who want to give their kids more independence. In addition to single-student memberships, CTC also offers family memberships and they allow you to do a free trial so you can check it out first! If you are interested, you should check out their special pricing which runs from now until 11/15/17 which gives you a discount of 60 percent off! As we move through high school, the math gets harder and harder, at least for me. So I love using some type of computer-based program to teach those courses to take some of the pressure off. For this review, we got to try an online program from UnLock Math. 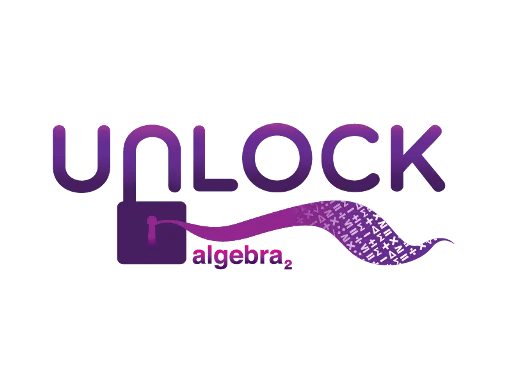 My son is a rising junior and we checked out their UnLock Algebra2. One of the things that I really like about this program is how complete it is. It features video leasson, testing, and automated grading, which just makes my life so much easier! The lessons are taught by real teachers and you get plenty of practice as well as access to complete solutions for the problem sets, which was helpful to me if I needed to go over something with my son. Algebra2 has 15 units with topics ranging from polynomials, to quadratic functions, to statistics and matrices. It also includes mid-term and final exams. The program is very simple to use, especially for any kid familiar with computers. As a parent, you set up your account and add your student and they get their own log in info. When you log in you can check their progress and you can also view the program from the student’s dashboard, in case you want to see what they’re doing. Units consist of multiple lessons which also include reviews of previous lessons. I like this method of teaching because even though students move on from a topic, they still practice the concept, which helps them retain it. Quizzes and tests are built in to each unit as well. Lessons begin with a short warm-up before students watch the video lesson. The videos are (thankfully) short, so this works well for kids with short attention spans. I also want to mention that the teachers in the videos are lively and engaged, something that is really important to my son. We have done online/computer-based classes before where the teacher drones on in a monotone voice and he quickly loses interest. After watching the video, students complete a set of practice problems. There are about 10 problems per set and there are a few different sets, so they get plenty of practice options. Each lesson also includes a set of reference notes, which is a short summary of the lesson, complete with important vocabulary. These were very helpful and I printed them out to use them as study guides for my son for the exams. The dashboard page also features handy graphics that allow students to track their own progress, which was a great motivator for my son. He could immediately see exactly how far he had come and how much he had left to do. It was also really easy for me to look at his login page and make sure he had done his work for the day! On the whole, we really liked this program. 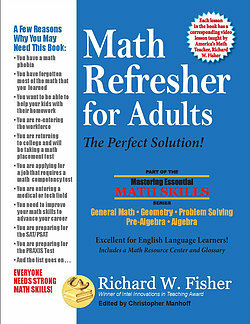 I think it is a great option for parents who don’t want to teach upper level math themselves. UnLock Math offers monthly and yearly pricing options, and you do get to choose your own start date, which is also nice. As our children get older, the thought of doing more advanced subjects (such as my nemesis, math) can be intimidating. However, you should never let something like that discourage you. 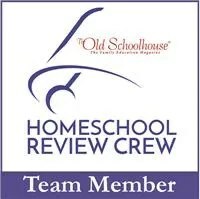 Programs like the Homeschooling Membership from CTCMath are designed to help support us in those areas we find most challenging. CTC offers thousands of online lessons in a variety of topics ranging from Algebra to Trigonometry. The self-paced lessons include videos and interactive practice activities. Students can watch the lesson, follow along with the teacher, then pause or rewind whenever they need to! This also makes it convenient to parents who are schooling other children because your child can go through the lesson on their own, then call you to come watch the video with them if they get stuck. 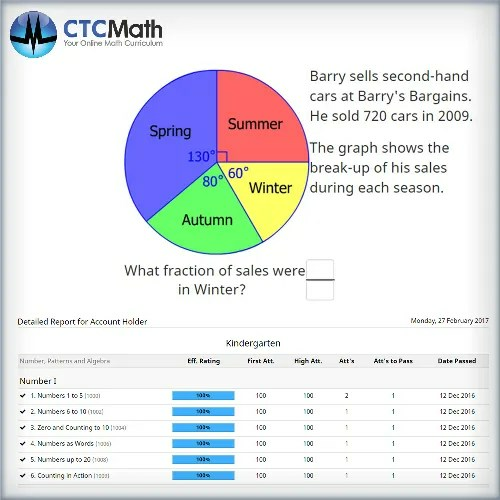 Another great feature of CTC is that it includes printable step-by-step solutions for the problems in the practice set, making it easy to go over them with your child and help them correct mistakes (this is a big one for me, I need to SEE how to work the problems in order to figure out how to explain it to my son if he needs help.) You can also print summaries of the lessons, with formulas and other notes your child can refer to if they need too. My youngest is an audio learner, and he struggles with taking notes himself, so this is a nice feature. For parents, CTC offers a separate log in where you can track your child’s progress. The reports give you loads of information too, like how many lessons they completed on each topic, how many lessons they passed and more. This makes it easy for you to identify the topics your child struggles with the most. Since lessons are broken up into topics, you can easily choose to start your child on a particular one (say, adding fractions with unlike denominators for example), rather than having them spend time on something they already know how to do. The instructor in the lessons has been teaching since 1989, so he is very experienced, and presents the information clearly. Lessons also include graphics and animation to engage different learning modalities. The video lessons themselves run about 10 minutes, which is great if your child has a short attention span, and the practice that follows gives students a chance to practice what they learned immediately. If you feel your child hasn’t quite mastered a topic, simply have them repeat the lesson. In addition to the video tutorials, CTC also offers diagnostic tests and fun math games to help students improve their skills. I love the idea of having a virtual, online teacher for upper level math, and I have always been intrigued by the products from Math-U-See. With my oldest in his senior year of high school, I was very excited to get to check out the Pre-Calculus level Digital Pack from Demme Learning. The Pre-Calculus Digital Pack gives you access to streaming instructional videos, Instruction manual PDFs, lessons, and tests for 12 months. It does not include the the physical workbooks or textbooks, but you can order those if you want, or, if you have used Math-U-See in the past, you can add the Digital Pack for the extra resources. As a new users, I was very fortunate to receive the physical Pre-Calculus pack which included the Instruction manual, a DVD copy of the lessons, the Student Workbook, and Test book. These hardback text is very detailed and I can tell it will last for years, so it’s perfect to pass onto my younger son. The workbooks and test book are also well done, and inexpensive enough that I won’t mind replacing them for him in the future, so I think they would be well worth the investment as having them to go along with the digital lessons is a huge bonus. The Pre-Calculus course consists of 30 units with some Trigonometry included. Some examples of the types of lessons include: Trigonometric Ratios, Law of Sines, Vectors, and Logarithims. Each lesson begins with an instructional video that can last anywhere from 10 minutes to about a half hour. Mr. Demme does a very good job of explaining these rather complicated (in my opinion anyway) concepts. I watched the videos either with my son or before he did, and believe me, math is not my thing, but after watching them, I felt I had a strong enough understanding to help if he needed it, and that’s saying something! Now, additional resources you get access to include answer keys for the test and Honors questions, and the lesson summary which includes all the key points from the lesson and sample problems, which was helpful to print out. However, you would need to really order the workbook and test book to go along with the program to give your child something to work on, as they do not offer printable worksheets. The workbook includes four daily worksheets with 15-20 daily practice problems, plus one optional honors lesson, and a weekly test on each unit. Basically, I had my son watch the video for the lesson on day 1 and complete at least half of the first worksheet. If he got all the answers correct, then he moved onto doing half of the next worksheet the next day (he did note that the problems seemed to get progressively more challenging each day). We ended the week with the Honors lesson and quiz. If, for some reason, he missed more than 2-3 questions on the first half of the daily worksheets, we would go over them, make corrections, then he would finish the rest of the problems to make sure he understood the problems. This way, I wasn’t overwhelming him with busy work for stuff he understood, but at the same time, I made sure he got plenty of practice for things that were difficult for him. Math was my least favorite subject when I was in school and it is still my least favorite subject now. However, I still need to teach it to my kids. At the elementary level, that’s not too difficult. However, as they get older, explaining more advanced concepts becomes a lot more challenging. So, I was excited to get to review Stinky Kid Math, a website that offers video lessons and worksheets for upper level math classes. Stinky Kid Math offers classes in Foundational Algebra, which covers Pre-Algebra and Algebra I, Complex Algebra, which covers Algebra I&II, and Geometry. I had my 8th/9th grade boy start with the Foundational Algebra lessons. The courses are well organized around topics, and you could easily choose to focus on specific topics if you wanted to, but we just started with the first lesson. Basically, each section has a series of videos (these can range anywhere from three to ten so far) that the child watches. The videos themselves are only a few minutes each and focus on one specific thing. 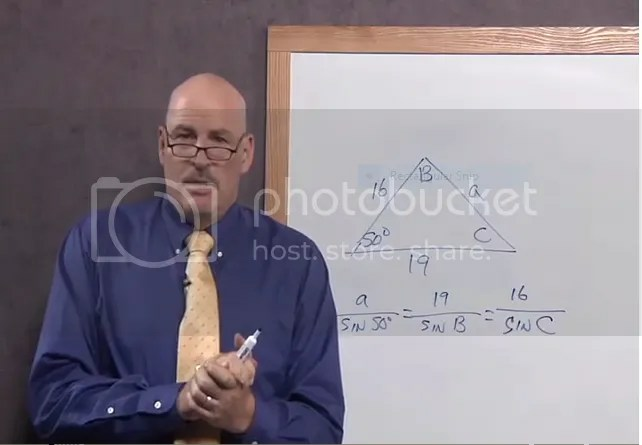 For example, in the section on Algebra Properties, there was one video each for the Commutative Property, Associative Property, and Distributive Property, and they were less than three minutes each. The instructor is very easy to follow, and uses a chalkboard with nice, bright chalk to illustrate his lesson. Each section also contains a link to a PDF file of a textbook lesson on that specific subject, so you and your child can also read the lesson and see more written examples if you wish. This is good because it accommodates different learning styles. There is also a link for printable worksheets to go along with the lessons, and the worksheets include an answer key. I found these very helpful. Now, once we got started on Stinky Kid Math, my son was able to pretty much do it on his own. The video lessons are really, really clear, and he only occasionally needed my help figuring things out. He was even able to (finally) get distributive property! While the program is not certified as a full curriculum and is designed to serve as more of a supplement, I am currently using it as our main math until I get enough money together to purchase a curriculum for this year. Right now, I feel like it gives us plenty of math. My son completes one section a day at the moment, unless it has a lot of videos, in which case I break it up into parts. I really like the fact that it has worksheets I can print to go along with the lessons. I feel like this allows my son to immediately practice what he just learned and allows me to see right away whether he got it or not. If I feel like he didn’t really understand something, we watch the lesson together again, and then he repeats the worksheet, or I look for another worksheet on the same topic from somewhere else. Stinky Kid Math also offers fun math games that allow students to practice basic fundamentals like converting fractions and decimals, understanding shapes, and adding and subtracting positive and negative numbers while having fun. Access to the program costs $9.99 per month. Upper level math is always a challenge, at least for me. I love the idea of having some kind of video/online math that my kids can do that allows me to NOT have to be solely responsible for teaching them these concepts. For this review, we got to check out the 12 month Family Plan from CTC Math an online math program that offers videos and practice for students in multiple levels. CTC offers a wide variety of tutorials in subjects like algebra, geometry, statistics, and more. In addition, CTC offers interactive worksheets that provide additional practice on concepts students are learning, and regular reports for parents on student progress. My 8th grade son used the pre-algebra program with CTC for this review, and we were both very happy. For starters, parents and students get their own log in access. Parents select a program for their child (ranging from kindergarten to upper level math). Students can complete assessments in different areas and also watch videos and complete assignments and worksheets related to those videos. They have multiple attempts on each lesson, but on the reports the parents receive, it is possible to see how many times they attempted each lesson. One thing I liked about CTC is how subjects are broken into topics. This makes it possible for parents to really focus attention on areas where their children struggle the most. For example, my son has really had a hard time with combining like terms in pre-algebra, so we kind of skipped ahead to this part of the program. Since CTC is set up to work kind of like a tutorial, you can move ahead or back up at your discretion. This freedom to move around makes it really flexible, which is a great thing for homeschool moms! In addition, I liked the fact that I could reset and repeat lessons as I felt it was necessary. For the most part, I allowed my son to complete CTC on his own, while I was in the room, usually engaged with another task (folding laundry, washing dishes etc). So, while I was within earshot, I wasn’t exactly looking over his shoulder. At his age, he doesn’t necessarily want mom around all the time. Plus, I really am trying to hand over more responsibility for his schooling to his hands. But, at the same time, I know he is a 13/14 year old boy who does have a tendency to “rush” through things when he gets frustrated. With CTC, I have the chance to review what he does. If I feel he didn’t take a lesson seriously enough, I do have the opportunity to review it with him, and have him redo it, if necessary. The homeschool program for CTC is good for up to 10 children, and since it offers so many grade levels, I could see it being wonderful for families with multiple students. My son enjoyed the videos a lot. I don’t know if it is quite enough to be a stand-alone program for all students. I think for kids who are good at math it can. For a student who struggles in math, you would maybe need to look for some extra practice worksheets online, but that’s about it. It really does offer a whole lot! I would definitely recommend checking it out!